The latest Doctor, Actor Peter Capaldi from http://bit.ly/1jI536B Using Creative Commons Attribution 4.0 International License. I’m a child of the 70s and I can’t remember not watching Doctor Who, I even have a Doctor Who quote as my work email tagline. I starkly remember watching Doctor Who for the first time in colour and not black and white, when my family got a colour television (and yes that’s how old I am). It seems to me that each generation since the inception of Doctor Who has its own fond memories and favourite Doctor, for me it’s the Tom Baker era from the classic Doctor Who and keeps changing for the new Doctor Who. At the moment I think its Matt Smith due to the range of personality styles he presented. You can imagine my disappointment when I took a Facebook Quiz on which Doctor are you most like and I got John Pertwee, but hey for me personally it could have been worse, it could have been Sylvester McCoy, my least favourite Doctor! By now you might me thinking, well what does this have to do with current youth, their popular culture and texts? It has a lot to do with it. I have found that one small unconscious move on my behalf opened an inroad into one small important subculture in my school, which is a girls high school. The unconscious move, to put the small stuffed TARDIS that I had been given for Christmas on top of my work computer, later joined by a Dalek. Some of the students who I describe as being comfortable with who they are and don’t consciously try and fit into any group noticed the TARDIS and it opened up a world of conversations around Doctor Who and their love and opinions of it with me, their school librarian. In the past week we have been discussing our hopes and expectations for the new series which started two weeks ago. Oh my pleasure when there were so many references to my favourite Doctor! I believe the answer is yes it does. Why? At a base statistical level the recent Australia Communications and Media Authority report into children’s television viewing between 2001 and 2013 stated that in the 13-17 age bracket Doctor Who was the most watched drama program with 83,000 viewers. In the context of popular culture a recent study highlighted that fans of Doctor Who are cross-generational in that many current fans were introduced to Doctor Who by family members. This is not surprising considering the original intent of Doctor Who was to produce a children’s television program that mixed science and history and in the UK was aired early on Saturday evenings to target children and adults in the 1960s. When it returned in 2005 it took this roll up again as a Saturday early evening family program. I was living in the UK at the time and remember sitting with my husband, in our living room, waiting to watch the first episode in trepidation and anticipation, like many classic fans and their offspring who they were introducing to the world of Doctor Who. I know the Australian experience was different, but in Australia I have seen this cross-generational experience at the Doctor Who Symphonic Spectaculars I have been lucky enough to attend. It was with great delight that while attending one of the spectaculars at the Sydney Opera House I saw and heard a Dad and three of his sons all engaging in the shared experience of Doctor Who. 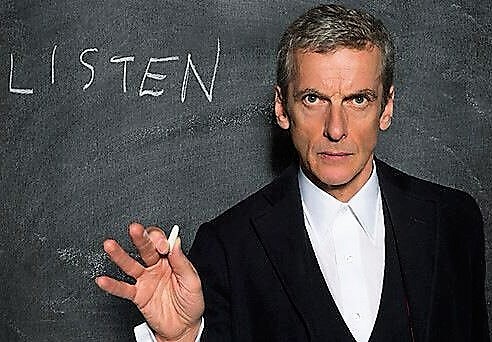 This cross-generational Doctor Who fandom is creating new digital opportunities. Like many other fandoms there are many digital spaces in which fans are extending fan fiction and fan movie productions, blogs and networks. Yet a lot is occurring offline, such as conventions and fan club screenings, but even these are organised and advertised online. This to me is a great opportunity for the generations to work together, the older to impart classic Doctor Who knowledge and the younger showing how to embrace and enhance the Doctor Who fandom online. So here’s to the continuation of Doctor Who and the wonderful cross-generational opportunities it provides. 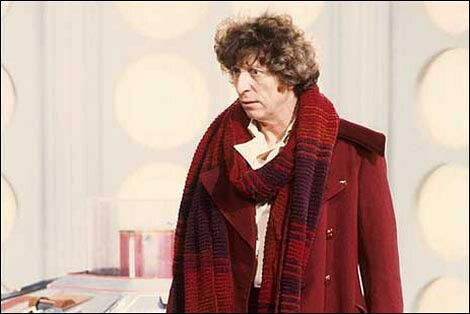 Tom Baker as Doctor Who. From http://bit.ly/1Nu3uTm Using Creative Commons Attribution 4.0 International License. This post is dedicated to Verity Lambert and Elisabeth Sladen two amazing females associated with Doctor Who one on screen and one behind the scenes who were an important part of my own childhood without me even realising it at the time. Great post Claire, I’ve just put one up that’s a bit similar – but you make the point better than I did that these core television experiences can happen at any time in our life, not just as kids. But do you think its as kids that our interests become hardwired? If you had never heard of the Doctor, or were one of these cross-generational fans would the deep history of the Time Lords have found its way to your desktop iconography? I definitely believe the best TV or media experiences can cross generations, or be reinvented. Its just a matter of locating that ‘best’ experience in the maelstrom of influences out there these days. A huge task!